Since the Great War, some family fortunes have suffered, including those of the Renshaws. Despite being the granddaughter of an earl, Julia Renshaw is under pressure to marry for money — and has settled for Gilbert Townsend, a viscount and a wealthy industrialist. He is decades older than Julia, and it’s clear to her sister Phoebe — and to Eva, who has been like a surrogate mother to the girls — that this is not a love match. Nevertheless, the wedding takes place — and in a hurry. At the reception aboard the groom’s yacht, there appears to be tension between Gil and several guests: his best man, a fellow veteran of the Boer War; his grouchy spinster sister; and his current heir, a nervous young cousin named Ernest. The bride is also less than pleased when she discovers that her honeymoon will be more crowded than expected — with Gil’s pretty secretary, among others, coming along. That very night, Julia pounds on her sister’s door, brandishing a bandaged hand and reporting a hot-tempered outburst on her new husband’s part. Julia is feeling doubt and regret about her hasty decision, but returns to the boat. Then the next morning, before the yacht can depart the harbor, Gil’s body is found in the water below — and Phoebe and Eva must discover who pushed him over . . . before the Renshaws’ social standing is irreparably stained by Julia’s arrest for his murder . . .
Shh… I have a confession to make. I live in the past as much as possible. And it’s not because I’m trying to escape anything in particular in our own time. This isn’t in response to current events. Rather, it’s as if some weird bug bit me when I was young, and I’ve been living with the effects ever since. 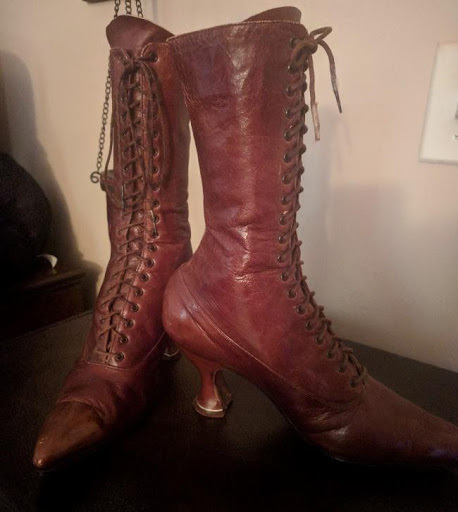 I constantly read history (fiction and nonfiction), I watch history and rejoice any time a new period movie or series is released, and, in my small way, I live history, filling my house with antiques and artifacts, like the Edwardian, lace-up leather boots with French heels that sit on a table in my bedroom. They don’t fit me and I can never wear them. 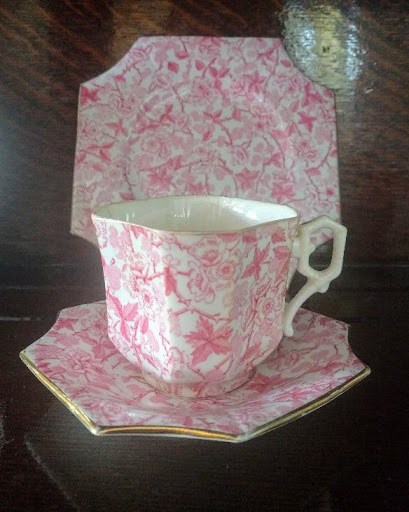 But I saw them at an antiques mall and had to have them. On the other hand, my reproduction Edwardian pumps, fashioned after a pair on display at the Newport Historical Society Museum, do fit and I do wear them for special occasions. And then there are my teacups, the oldest of which dates to the 1890s. But, I don’t want to live alone in the past. 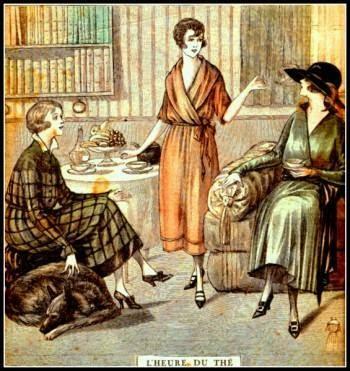 I want to take friends with me — to have afternoon tea with; to ride together in horse-drawn carriages; to compare our latest frocks from House of Worth or Doucet or Poiret. And that’s why, when I first began writing years ago, I set myself firmly in the past and never looked back. I experimented with different time periods, from Medieval onwards, finally settling in Gilded Age Newport and Post WWI England. And my main intention, besides challenging readers with twisty puzzles of who killed whom, when, why, and with what, is to open wide the doors of America’s and England’s grandest houses and invite in anyone who wishes to come. Let’s all have a peek, and stay for supper and a ball. Let’s face it, aren’t we all just a little bit fascinated with grandeur? Isn’t that why, week after week, for — what was it? — six years, we tuned into Downton Abbey to watch the adventures and angst of the Crawley family as they teetered between tradition and the coming of the modern age? Didn’t we love strolling vicariously through the elegant, opulent rooms of the Abbey, aka Highclere Castle, and drool over the gorgeous fashions worn by Cora, Mary, Edith and the rest? Didn’t we cringe every time one of the sisters appeared about to marry the wrong man because of the pressures of dwindling estate finances? And didn’t we rejoice when Mary, typically the most stringent of the sisters when it came to upholding grand traditions, married Henry Talbot, a race car driver sans title or fortune, merely for the sake of happiness? And who among us didn’t practically weep when the series ended? Raising my hand here. But as the Crawleys’ lives faded from the TV screen, the Renshaws’ adventures began to take shape in my mind, along with those of their servants. It meant new research and more time spent in the past. It meant developing characters who would be spending at least the next several years with one another, and with me. Starting a new series is like making new friends or finding extended family you never knew existed before. Like Downton Abbey, there are three sisters in the Renshaw family, but there is also a brother, the youngest sibling, who is the heir to the estate and an individual who thoroughly enjoys making life difficult for his sisters. There’s a Granny — although she’s called Grams in the series — but unlike Maggie Smith’s character, Grams’s husband is still very much alive. 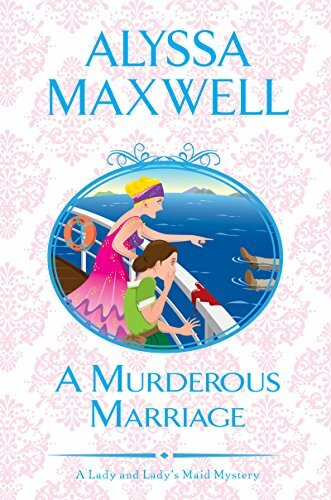 No, it’s the parents who are deceased in the Renshaw family, making my sleuth, Phoebe, an orphan who has learned to be resilient and self-sufficient, albeit with the help of her fiercely loyal lady’s maid, Eva Huntford. Together, Phoebe and Eva not only solve the heinous crimes that seem to pop up wherever they happen to be, but they’re also challenged by England’s swiftly changing post-war society and the ongoing tug of war between tradition and modernity. It’s a world of horse-drawn buggies and motorcars, of coal fires and electricity, of lingering illiteracy and great innovation. It was also a time when women were winning the right to vote and gaining their independence. It’s an exciting time I enjoy exploring, experiencing, and spending time in. So, how about it? 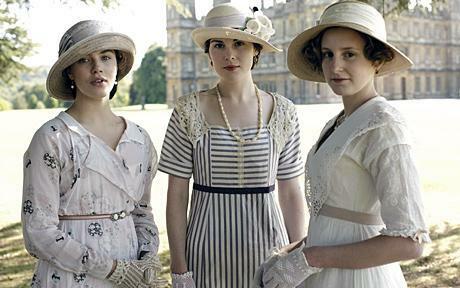 Who would like to come along with me to 1920, the dawn of the jazz age? You can dress the part or come as you are — but dressing up is much more fun! 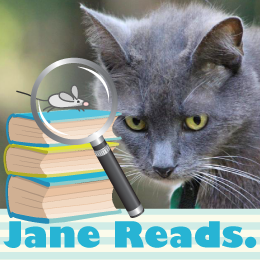 Follow the tour, to read other Guest Posts, plus interviews and reviews.